A new exhibition at New York’s Centre for Architecture called ‘Patchwork: The Architecture of Jadwiga Grabowska-Hawrylak’ has opened displaying the works of one of Poland’s most important modernist architects. Throughout her career, Jadwiga Grabowska-Hawrylak’s main focus was the creation of a new Wrocław. The city, now one of the most important urban centres in Poland, had a long history of changing hands having belonged to, among others, the Kingdom of Bohemia, the Habsburgs and to Germany until the end of World War II. By the end of the war, over 60 percent of the city lay in ruins and, with its repopulation from former Polish territories in the east, Hawrylak’s designs brought the city a fresh start. One of her first works was the primary school on Podwale street. For the façade she used several different materials – white plaster, dark terrazzo and coloured glass, which created an interesting effect of play between contrasting colours and textures. Limited by the socrealist doctrine, she still tried to add something of her own vision of modernity and art. 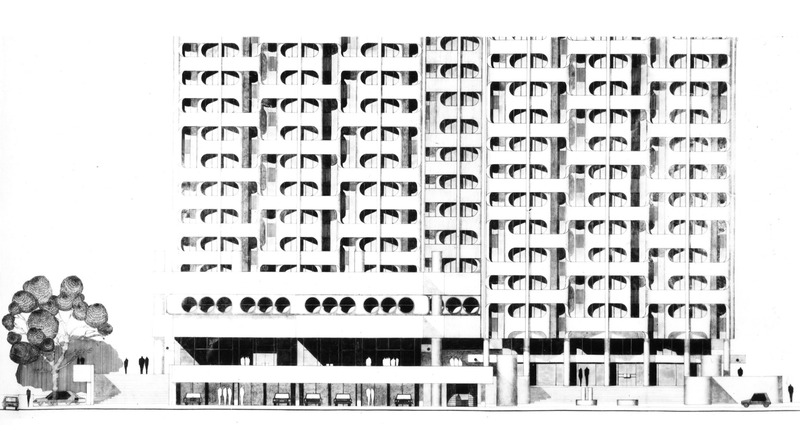 Grabowska-Hawrylak’s most recognizable work is the Grunwald Square housing estate, known as ‘Manhattan’ or ‘sedesowiec’ (eng. toileter). The monumental project took five years to complete (1967-72). 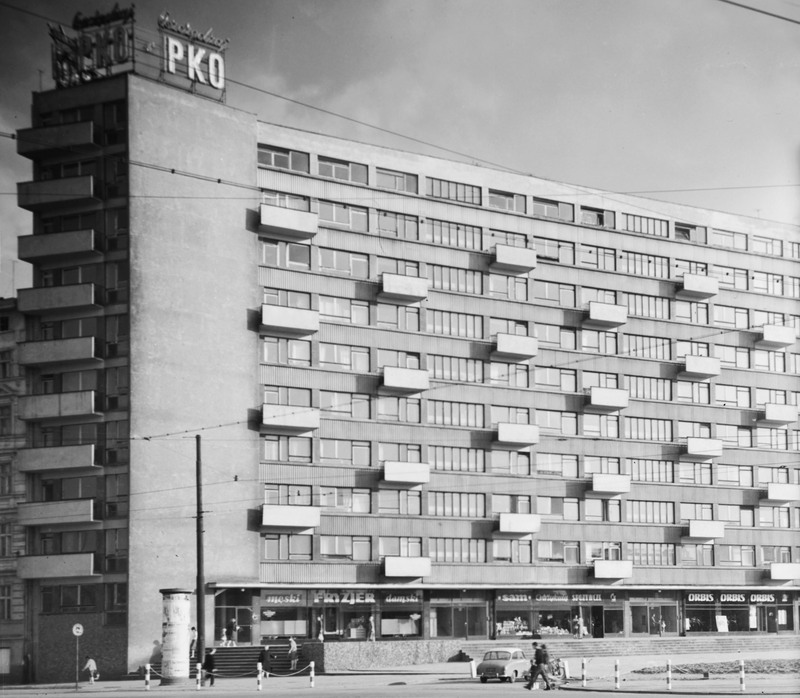 The six 16-floor blocks of flats were covered by round concrete balconies, making them something unique in the communist Poland landscape. The inclusion of smaller structures for shops and services, connecting the blocs, ensured the city life was happening there as well. Grabowska-Hawrylak was born in 1920 in Tarnawce, in the south-east of Poland. 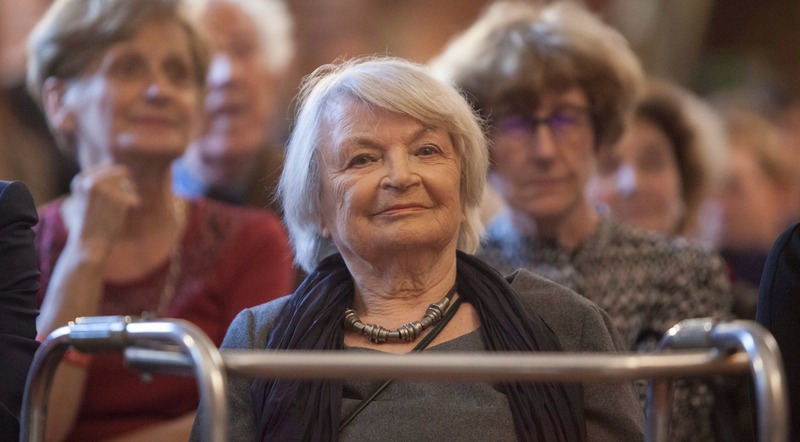 She completed her architecture studies at the Wrocław University of Technology in 1950, the first woman to do so in post-war Wrocław. Her husband, Henryk Hawrylak was a mining machinery specialist. They had three children, Katarzyna, Maciej and Paweł, who became an antique restorer, architect and physicist. Grabowska-Hawrylak died in 2018 and was buried in Wrocław, the city which owes so much of its current look to her. 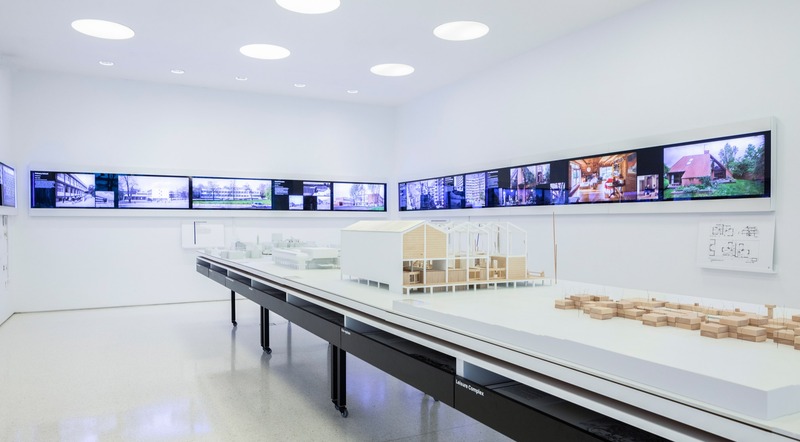 The exhibition at the New York Centre of Architecture was prepared in collaboration with the Museum of Architecture in Wrocław. It included models, films and photographs and runs until May 18th.